Why should I Hire a Structural Engineer? A structural engineer is a licensed professional with keen knowledge of structural behavior of all type structures. A Structural Engineer has expertise and can provide guidance in areas regarding the structural soundness of your home. It is the Structural engineer who will give life and safety to your house. He will make the house both economical as well as durable, life lasting. Structural engineer is trained to figure out the behavior of building under influence of various forces like gravity, wind, earthquake, temperature, blast and pressure acting upon the building and decide whether the structure is safe or unsafe under these various forces. Here in this article, we have restricted our content to home construction only. Architects mainly focus on aesthetics and functionality of building based on the design philosophy and plan prepared by them, the structural engineer will suggest the best suited structural systems and materials as per your site location and condition and also making sure that structure supports and resist the loads imposed on it. Architectural Configuration of a building should always be symmetrical and proportionate. This task will be carried out by structural engineer. Symmetry of a building is necessary as it shows the stability and balance. Symmetrical elements evoke harmony and order in a space. Know more about how asymmetry of building affects the structure. All elements of house/building should be well proportionate i.e. height-depth ratio, area-depth ratio or length-depth ratio should be maintained. They should not be extreme tall or extreme plan area or extreme wide strip. He will finalize the structural system suitable for your house, taking into considerations of budget and availability of local materials. The Structural system is the assembly of structural elements for a building/house so that they support and transmit the applied loads safely to the ground without exceeding the allowable stresses in the members. Structural engineer will consult geotechnical consultant for soil investigation report. Based on soil investigation report he will finalize the type and depth of foundation. Read more about types of foundation. To overcome the effect of earthquake forces, expansion joints are usually provided to maintain the height-depth ratio, area-depth ratio or length-depth ratio. Expansion joint also known as movement joint, is an assembly designed to absorb vibrations (i.e. due to earthquake) and temperature changes by holding parts together or by allowing movements without breaking the structure. 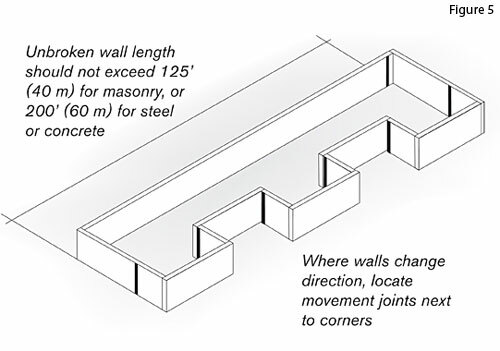 A structural engineer gives advice for the location of expansion joint to safeguard building. Then he prepares the structural framing plan for both gravity load and horizontal load (earthquake, wind, etc.) ensuring that the frame is built the way it is supposed to be constructed on site. These plans are very specific about location of various elements like door, windows, etc. and their material. Structural framing plan: A plan showing arrangements of structural components (i.e. 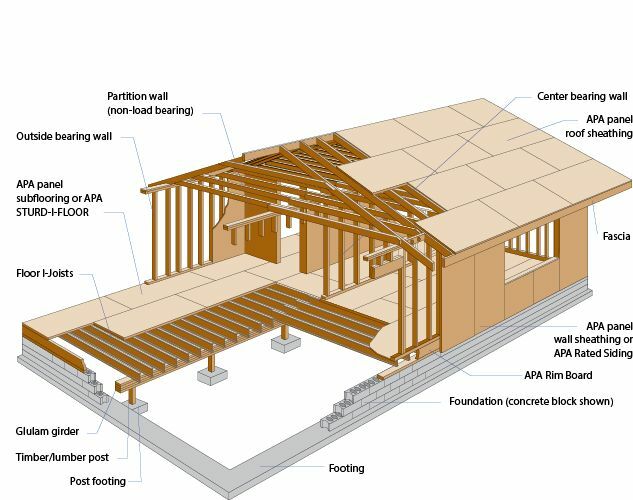 beams, columns, footings, rafters, etc) along with their connections, materials and other respective features. He will then carry out structural analysis and design. Select the best suited material for construction (RC, Steel, Wood) of your home as per architectural configuration and many more other things. Determine forces acting on a structure and determine internal forces (Structural Analysis). Calculate size of members (slabs, beams, columns, footings, lintel, etc.) and connections to avoid failure or excessive deformations (structural design, RC, steel, wood). A structural engineer is responsible for detailing of all the structural elements. Structural detailing of R.C.C includes dimensioning structural elements (beam, slab, column, footing and wall), dimensioning of rebars, spacing of rebars, positioning of rebars. Structural detailing of steel and timber works includes dimensioning of sections, shape of sections and connection details. He then prepares structural drawing, based on which the contractor will execute work on construction site. Plans, Sections and elevations with dimensions and levels. Notes on specifications, finishes, etc. Length, shape and number of each type of reinforcing bar. There is separate structural drawing for each element. Here for illustration purpose structural drawing of column splice details is shown below. Many architects ignore or are unaware of the threats to the building due to poor configuration and asymmetry. Hence the design once finalized must be consulted with structural engineer for both economy and long life. One should be vigilant enough for selection of good structural engineer as your entire safety and life of home/building depends on him. One should never economize on: Foundation and Good team of consultants (Architect, Structural engineer), as they always save money. It is always recommended to hire the structural engineer/ designer for the safety, long life of yours and your home. Are You Hiring an Interior Designer or an Interior Decorator?